Here are images of some people at work that we saw on our travels. These colourfully attired Quechua women demonstrate weaving techniques in Cinchero, in the sacred valley, Peru. Their smiles belie an underlying sadness that was palpable. Almost all of the tourist dollars are channeled back to Lima and these poor locals get but a tiny fraction of the bounty. That is the main reason we try to seek out small local agencies and private guides when we travel, in an attempt to give back to the local communities. 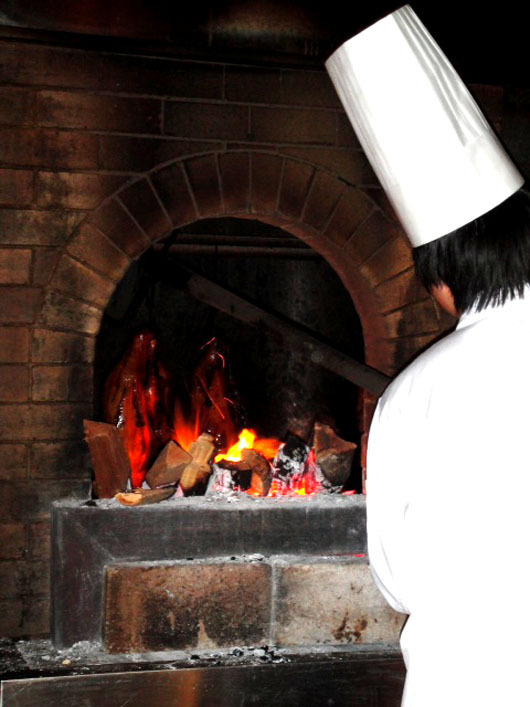 This chef at Dadong is expertly preparing, what turned out to be one of our best meals in Beijing! This was the best roast duck we had ever tasted! 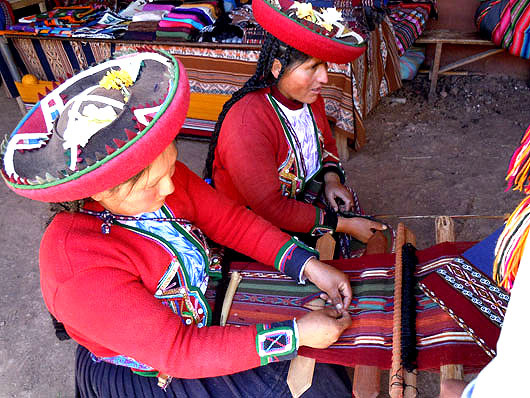 Lovely colourful photos, especially the Quechua weavers. Thanks Kathryn! Those colourful costumes are always a treat to photograph! Leave it to you to exceed Jake’s challenge, Madhu. Mine too 🙂 The Chinese restaurants around here just don’t measure up unfortunately! The photo of the weavers is really my favorite. You’ve captured the scene just as I imagined it! Great post Madhu! I remember the ash cleaners and duck carvers in Beijing! Thanks for capturing these! Interesting collection. I too like the weavers and applaud the fact that you try to help the proceeds of tourism go to locals. Thanks Jo. We try, but not sure how much percolates down to the bottom. According to our guide – not much. 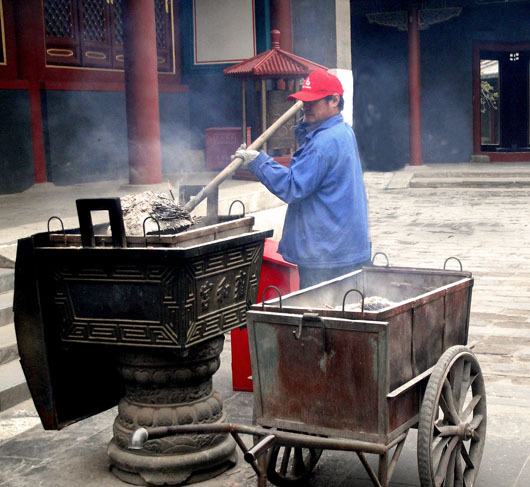 Weaving under the sun, cleaning ash, roast duck in the heat, day after day and every day, must be hard to bear. It’s very thoughtful and kind to use the local agencies and support local business while you travel. I shall do more. At least the chef must be being paid very well 🙂 Can’t say that about the others. I think everyone should try and support local businesses when they travel. Appreciate your comments Amy. The weavers are my favorite. All great shots…I like the weavers the best because of the colors, but I think taking the shot of the chef from behind made for an interesting shot! I think having both was great! Thanks Tita! I am sure most people would do the same if they were aware of the locals plight. aw you’re blog’s amazing:) i really want to travel when i’m older, how do you manage to fit the rest of your life around yor passion for travel? and did you always want to travel, from a young age? Thanks Anne! I too love the colourful costumes of the Quechua women. That Ash Cleaner had his work cut out for him! Thank you Ranadive. Missed this somehow, sorry! We’ve been sweltering under a ‘planned outage’ all day! (I don’t suppose you have them in Indai any more. Seems the hotter it gets, the more power cuts we have to have!) Only just catching up and what colourful “Workers” you’ve submitted, Madhu. Would have been most surprised if you were not a responsible tourist. Anyway, as with planning, finding locals to do business with is an important part of the experience of a trip, and usually add a great deal to the fun/understanding quotient, don’t you think? Oh, thank you! You over estimate the ‘developing’ status of India! We have been suffering two hours of power cuts everyday in the peak of summer! Apparently far worse in rural Tamilnadu. I have to get back to your Memories post to rewrite my comment – internet bandwidth meltdown just as I was about to finish. I love this set. Beautiful photos and interesting stories behind them. The roast duck made my mouth water 🙂 Thanks, Madhu. 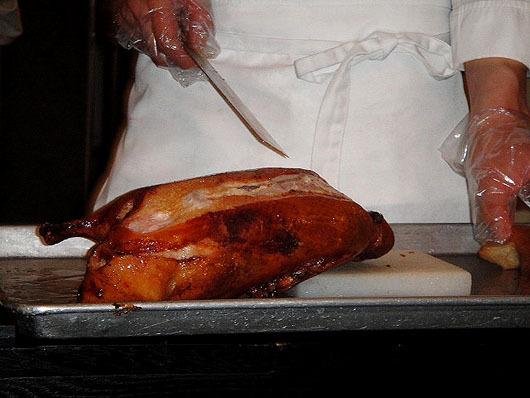 I absolutely LOVE duck–but I bet that is the best duck in the world–sure looks like it anyway! Photos of true character. Shared most of your experiences. Moreover, just love your face page to this blog. Any tips as to how you go about this? 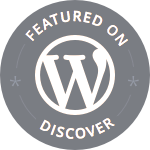 I am very inexperienced and consequently very intermittent blogger! That duck picture reminded me of visiting a Chinese village and seeing those ducks pinned to the outside walls of houses to dry. I found that interesting.